Find out how we can treat your pet? Ashgrove Vets, your first choice for exceptional veterinary care, delivered by a friendly and dedicated team of vets and nurses to ensure the best care for your pet. Can we treat your pet? Why You Should Register with Ashgrove Vets? 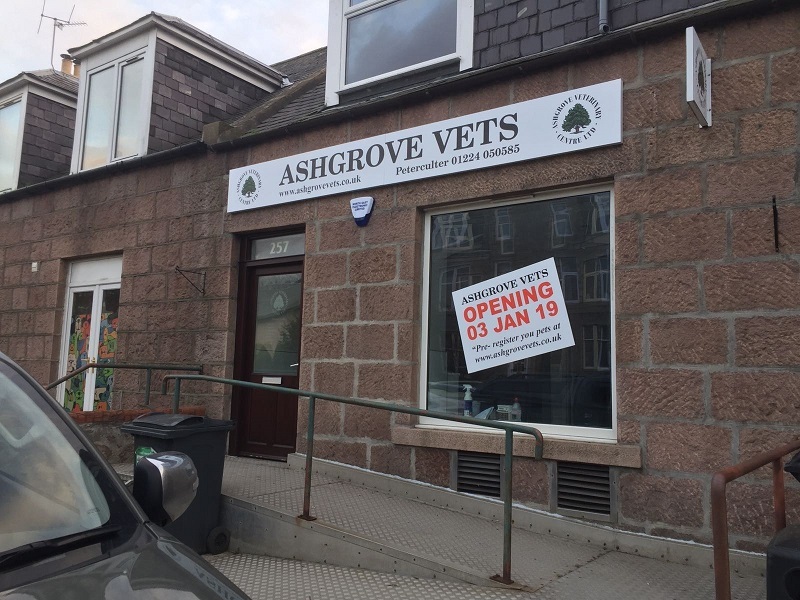 At Ashgrove, our team of 7 experienced vets and 6 fully qualified registered veterinary nurses and support staff offer your pet an extensive range of services. We aim to provide modern veterinary care for all pets in full consultation with owners. Absolutely fantastic vet practice. Containing professional, knowledgeable, caring and experienced vets and nurses, who work tirelessly to ensure the well being of all animals. Pleasant and polite receptionists. Clean, tidy and well organised facilities. Easy appointment bookings. I am extremely lucky to have such an excellent practice to turn to when needed. Highly recommended to anyone who wishes the best for their pet. We are having issues with our telephone lines this morning so apologise for any inconvenience caused. If you have a genuine emergency, please head straight down to the practice. If your enquiry is non-urgent then please email us at office@ashgrovevets.co.uk with your name, contact number and enquiry and we will call you back as soon as we can. Thank you for your patience and understanding for this situation which is out of our control.